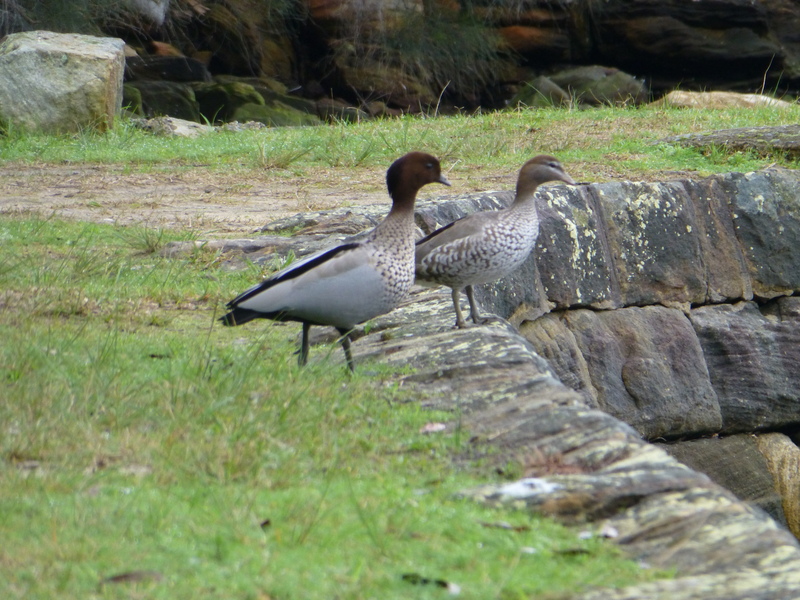 Moments after this image had been captured, this pair of Australian Wood Ducks took the plunge. 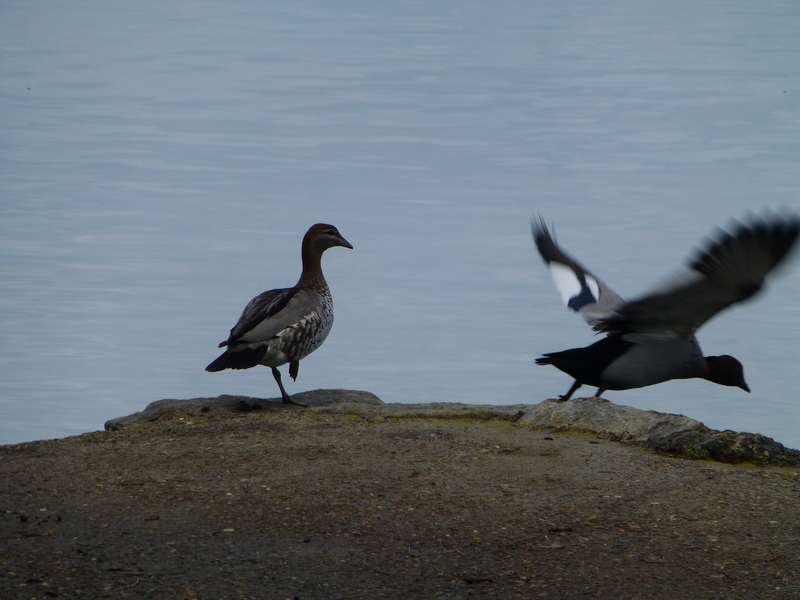 These ducks are less common around the park than the Chestnut Teals. Like the Teals, they are often found in pairs. It’s a delight to watch their interactions. So thinks this lovely Australian Wood Duck. These charming ducks are less common than some other species in the river baths. The female can be distinguished by her paler head and white stripes over and under her eyes. Sometimes I see a pair grazing together on the nearby grass. Don’t you agree that there is something particularly endearing about ducks?